But something switched this year and I am ALL about it! It’s super satisfying, and tastes so yummy mounded on salad or wrapped in a large leaf of butter lettuce. I’m even into making picnic sandwiches with croissants! It adds a delicious tang and ups the protein content of the salad. Win win. 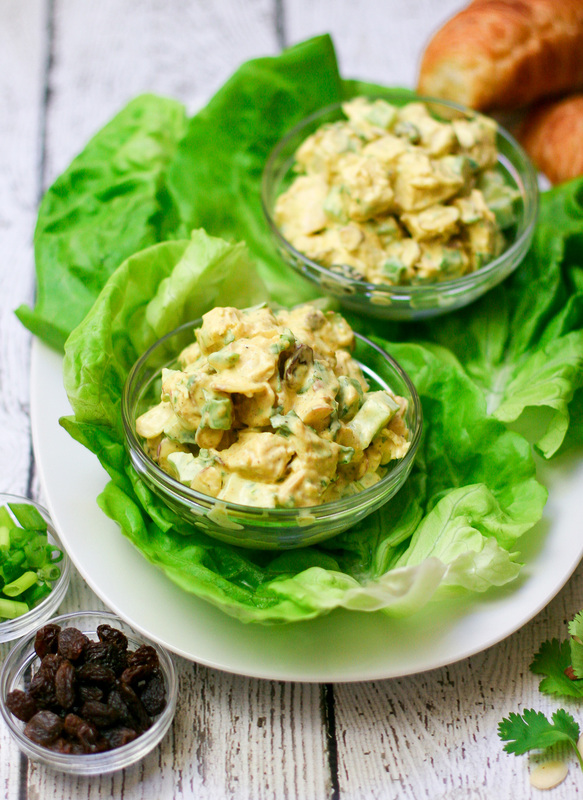 I’ve made regular chicken salad with fresh grapes and walnuts, but I like it even better with a pop of curry powder. 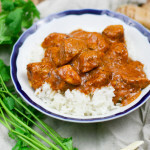 The turmeric gives the whole thing a beautiful golden tint, and the blend of curry powder spices makes each bite exciting and flavorful. Of course, if you just had a mix of chicken coated w. creamy sauce, things could get a bit boring, texture-wise. Throw in some diced celery, raisins, and sliced almonds and now you’ve got a nice crunch factor. 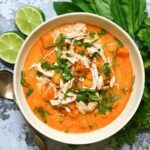 Finally, some minced cilantro & green onions compliment the creamy curry flavor, and make the perfect chicken salad. Yum Yum. Chicken salad makes awesome picnic food. 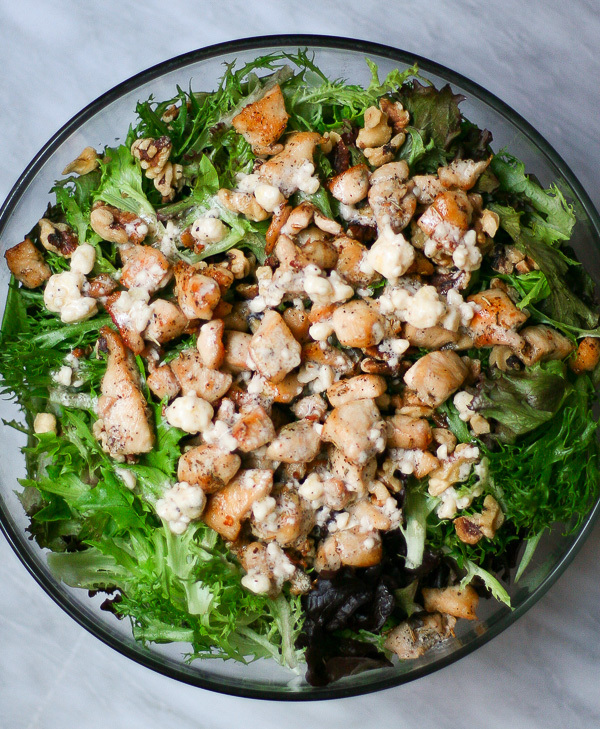 Imagine lounging on a blanket, reveling in the sun, and pulling out a batch of this awesome chicken salad. It’s light, refreshing, savory, and satisfying. You can even kick it up a notch by stuffing it into croissants. Bring a medium pot of water to a boil. Add the chicken breasts, reduce the heat to a simmer, and cook the chicken breasts for about 15 minutes, or until the internal temperature reaches 165 degrees Fahrenheit (use an instant thermometer if you aren't sure!). Remove the chicken breasts and let cool. When cooled, dice the chicken into a half-inch dice and set aside. In a large bowl, stir together the mayonnaise, Greek yogurt, curry powder, apricot preserve, rice vinegar, salt, and pepper until well combined. Add the diced chicken, celery, green onions, raisins, almonds, and cilantro. Use a big spoon to stir to combine. Refrigerate to cool before serving, if desired. 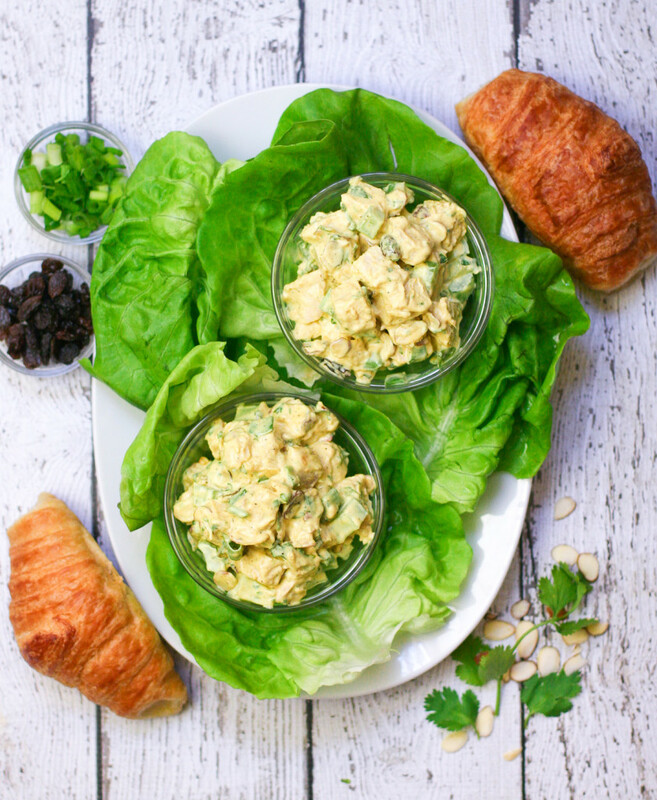 When ready to serve, spoon the chicken salad mixture onto the lettuce leaves, fold up, and enjoy. 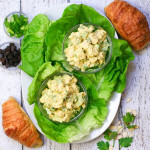 Goes great with fresh croissants, or even turned into a chicken salad croissan-wich! Its coronation chicken! Well, thats what it would be called in the UK at least. Looks great, like the idea of the cilantro and yogurt to lift it up.